We’d love your help. 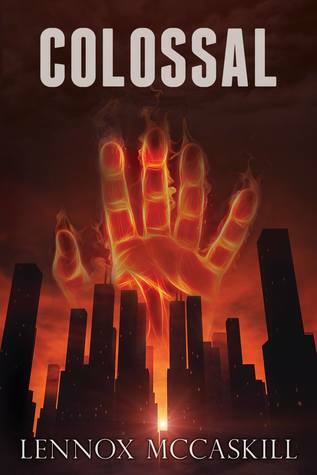 Let us know what’s wrong with this preview of Colossal by Lennox McCaskill. Meridian is a city of many identities. For Detective Wreings, finding the identity of a killer is more than just his job, it’s his distraction from the stresses off-the-clock. But as the detective’s drive to solve the case leads him through the doors of Meridian Medical Center, he is steered towards a suspect that raises more questions than answers. The man in room 623 is j Meridian is a city of many identities. For Detective Wreings, finding the identity of a killer is more than just his job, it’s his distraction from the stresses off-the-clock. But as the detective’s drive to solve the case leads him through the doors of Meridian Medical Center, he is steered towards a suspect that raises more questions than answers. The man in room 623 is just that. He can’t remember who he is or how he wound up in the hospital. The doctors are afraid of him, the detectives are suspicious of him, and he can’t say for certain whether he is or isn’t the killer everyone is looking for. He sets out to clear his name but soon finds that the key to recovering his past puts him in the path of a girl trying to avoid hers. Katie wishes she could forget it all. One tragedy after another has left her trapped within her own mind. But now a strange power is drawing her closer to a suspected murderer. Each must battle their own fears to ease those of Meridian and stop a killer before they strike again. To ask other readers questions about Colossal, please sign up. With the superhero culture at its prime, you might think this is just another origin tale of mighty heroes on the rise, but it's quite the contrary. If you're a fan of real, in-depth characterization and strong story arcs fused with realism — this is the novel for you. There's a character for everyone to relate to in "Colossal," but they're each one giant piece of an extraordinary puzzle that will keep you guessing and at the edge of your seat until the very end. Quick paced and packed with myst With the superhero culture at its prime, you might think this is just another origin tale of mighty heroes on the rise, but it's quite the contrary. If you're a fan of real, in-depth characterization and strong story arcs fused with realism — this is the novel for you. There's a character for everyone to relate to in "Colossal," but they're each one giant piece of an extraordinary puzzle that will keep you guessing and at the edge of your seat until the very end. Quick paced and packed with mystery, this novel blends action and heroism for a daring debut from McCaskill. Without giving too much away, the intricate details, realistic characters and thorough mileau help make this an impressive and incredibly entertaining read. A good read that holds the reader with detailed descriptions; the author draws you into a place that feels similar, yet different enough to open the door to the unknown. While following the actions of three different characters, each with flaws that has the reader rooting for them one moment and against them in the next; the book masterfully balances who exactly is the hero and just what does that mean. Can he be so bad if he's willing to protect a complete stranger? Can she be so good while bei A good read that holds the reader with detailed descriptions; the author draws you into a place that feels similar, yet different enough to open the door to the unknown. While following the actions of three different characters, each with flaws that has the reader rooting for them one moment and against them in the next; the book masterfully balances who exactly is the hero and just what does that mean. Can he be so bad if he's willing to protect a complete stranger? Can she be so good while being confined and defined by her past? How much stock can you put in someone who is sleep-deprived? Colossal combines mystery and superhero novels into one exciting book. The book follows four main characters that surround a new murder case in the city of Meridian. McCaskill does a really good job of developing the characters in a way that makes them relatable and believable. The complex characters add to the storyline and make you wonder how everyone connects to the murder. The book will have you guessing throughout. While I love a good mystery, I felt like the ended didn’t leave me satisfied Colossal combines mystery and superhero novels into one exciting book. The book follows four main characters that surround a new murder case in the city of Meridian. While I love a good mystery, I felt like the ended didn’t leave me satisfied (though it does make me want to read the second one right away!). The book ends, and I was left with many of the same questions I had in the beginning. I’m curious to see what questions get answered in the second book, and I can’t wait to return to the characters. There were so many things that I liked about this book. It started out as a police investigation mystery, but I soon found that this was not a typical mystery. As the story progressed, it almost had an X-Files feel to it. I found the story to be fresh, and new, and I liked how the author combined a mystery with the story of super humans. I also liked the author's writing style. It was organized, descriptive, and his characters were developed. The story was told at a good pace, and the writer hel There were so many things that I liked about this book. It started out as a police investigation mystery, but I soon found that this was not a typical mystery. As the story progressed, it almost had an X-Files feel to it. I found the story to be fresh, and new, and I liked how the author combined a mystery with the story of super humans. I also liked the author's writing style. It was organized, descriptive, and his characters were developed. The story was told at a good pace, and the writer held my attention throughout the book. The only thing that may bother readers is that there were so many unanswered questions at the end of the book. This gave me an unsatisfied feeling, but did make me want to read the next book. It is the first book in the series and I'm sure at least some of the questions will be answered in the books that follow, but I know some readers do not like loose ends at the close of a book. So be aware- this is not a stand alone read. Although there is violence in this book (not more so than movies and video games), I would recommend it for young adults and up. Lennox has a talent for developing very strong characters that you can relate to. You can feel Katie's depression. You can feel the man in room 623's confusion. While I did enjoy the story line, I was a little confused at the end. But what cliff hanger isn't confusing. Guess I will need to read the next book, Afflictions, to get my answers. This book seemed to be something out of the "X Files". Characters had unexplained super powers. The conclusion to me was quite confusing and I'm not even sure if the bad guy was defeated. It had enough interesting moments to finish the book, but I believe there are too many unanswered questions to continue the series. Not good enough to do that. I might be a little biased about this series because I know the author but y’all, these books are so good! Colossal was 8 years in the making and so worth every second. It was originally published in August 2015 and I re-read it in August 2016 to prepare for the release of it’s sequel, Afflictions. It’s sort of a super hero meets TV crime show kind of book and it’s really excellent. I was worried that I was going to dislike it and then would have to lie and tell the author how much I loved it, b I might be a little biased about this series because I know the author but y’all, these books are so good! Colossal was 8 years in the making and so worth every second. It was originally published in August 2015 and I re-read it in August 2016 to prepare for the release of it’s sequel, Afflictions. It’s sort of a super hero meets TV crime show kind of book and it’s really excellent. I was worried that I was going to dislike it and then would have to lie and tell the author how much I loved it, but I really did love it! In fact, I loved it so much, I started a hashtag for the third installment of the series, #Fallen2017, and it worked! Fallen was released in December 2017. Meridian is a fresh, unique setting for a super hero book. At times it may be difficult for the reader to juggle the different character arcs, but it pays off in the end. I loved this fast-paced book and the vivid details! The intricate characters and interesting interactions kept me hooked, can't wait for the next installment! I'm an American author and Georgia native with a passion for various forms of storytelling. Growing up, I had a very active imagination that was pretty hard to contain. Whether pretending to be a superhero or an actor, I loved the idea of living in a fantasy world of my own making. But the worlds weren't just for me, I also created a number of characters, some of which made it into my writings as I'm an American author and Georgia native with a passion for various forms of storytelling. Growing up, I had a very active imagination that was pretty hard to contain. Whether pretending to be a superhero or an actor, I loved the idea of living in a fantasy world of my own making. But the worlds weren't just for me, I also created a number of characters, some of which made it into my writings as an adult. I'd give them backgrounds, motivations, and even drew out their stories as comics. Flash forward to today, and those stories aren't limited to a strip. 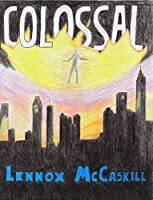 My first published work, "Colossal", is a culmination of my interests and inspirations, including my love of TV detectives, science fiction, and of course, super powers. At the same time, the pages of "The Colossal Series" have also housed many of my childhood fears and dreams - some of which have been personified by certain characters. When I'm not writing, I'm busy being a dad to a very smart and imaginative toddler, a husband to a much smarter wife, and an avid sports fan (my favorite teams are Arsenal and Atlanta United).